Thankful Thursday should have been yesterday. 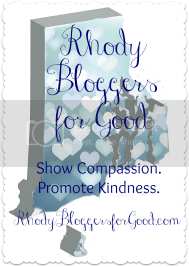 Sadly I have not blogged in days. Where have I been? It started with me getting really sick the day I came home from New Orleans (which I have yet to blog about as well). Two doctors visits and another trip to the treatment center and I am finally feeling so much better. Once I was only halfway recovered we launched into the final countdown for Christmas. 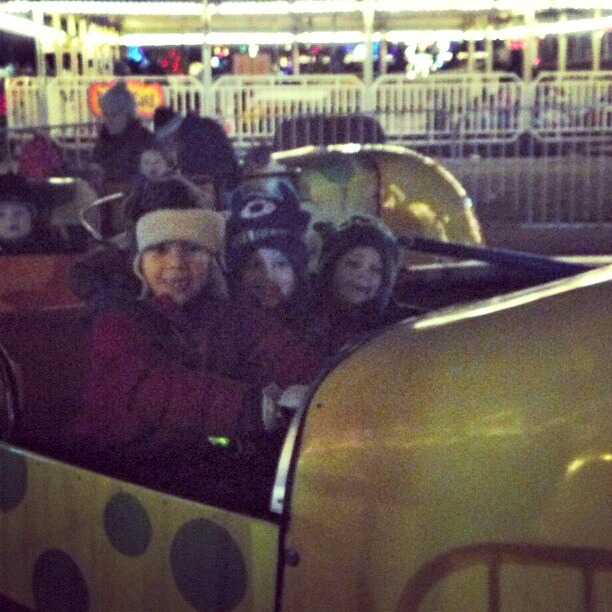 From the Big Guy's 7th birthday, Lasalette, Edaville Railroad, finishing shopping and attending Christmas celebrations time literally flew by and I barely had time to give my blog a look. Posting will get regular again as I cover Disney on Ice, put up an overdue giveaway and just get back to blogging our life. It was eating at me I didn't put up a Thankful Thursday yesterday so here it is today. Hope you all don't mind. - getting better and finally being able to function again. And a huge thanks to my husband for trying to hold everything down when I was out of commission. - being able to go on the twins very first field trip. I wanted so badly to take a photo of their smiling little faces on their first school bus ride but once they got around their other kindergarten friends they were too cool for that sort of thing. Of course. I am still super thankful that the Doodle Bop had a great experience because he had been afraid of getting on the bus before the trip. 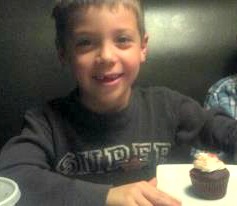 - my oldest baby turning 7 last Friday. That in itself deserves a blog post but for once I have no words. Look at this face. SEVEN! 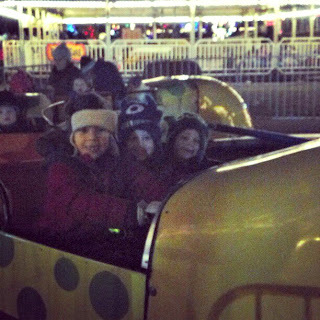 - taking the trip to Lasalette as is our December tradition ... even if it was spur of the moment and the coldest night we have had by far ... prompting the kids to ask to run through the lights in under 20 minutes so they could get back in the car and go home. The oohs and aahs between the shivers were still worth it. - hitting up Edaville Railroad (with a special shout out to Wicked Deals for the half price tickets making it all possible). I had been as a kid but had no actual memory of the place. 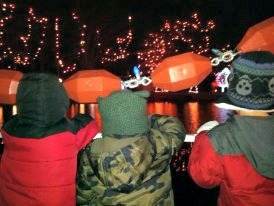 It was cold that night too but the boys had the best time and the lights were pretty. 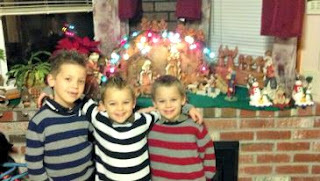 - celebrating Christmas with my boys. I had a bit of a hard time because it wasn't quite tradition as usual this year and some special people were missing, but I loved every moment of watching the boys get excited. Even the part where the Doodle Bop cried going to bed Christmas night as he realized it was 'all over'. Cuteness. - my husband home on vacation this week. 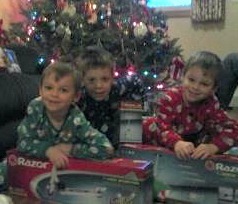 It feels nice to be able to spend the time with all four of my guys. 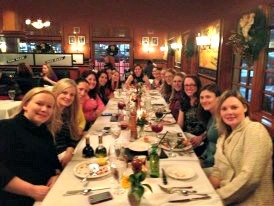 - getting out to the Rhody Blogger dinner last night. Love my girls. I took great pleasure in seeing your photos. They look very nice. Especially the kid and so tender and young. It feels nice to be able to spend the time with all your family members. I know this feeling. thanks for taking the time and sharing this post with us! thanks for sharing your impressions about this wonderful event! I like your blog!